It was the first great international exhibition, and it was intended to raise the level of industrial design and of course to display production and acquire new and larger markets. It was open in Hyde Park for five months and fifteen days. 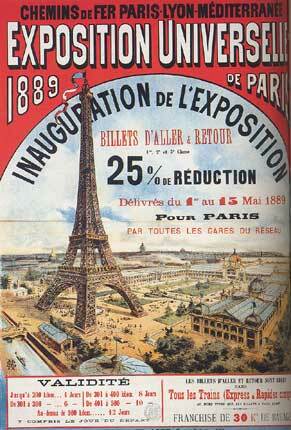 Over six million visitors came to see some fourteen thousand exhibitors, of which Great Britain supplied nearly half. The Exposition Universelle was held only a few years before the Columbian Exposition, and the success of it put a lot of pressure on the architects for the Chicago fair. The builders knew that they had to find a way to surpass the Paris' main centerpiece: the Eiffel Tower.